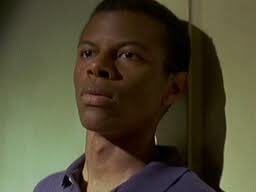 Phillip “Phil” LaMarr (born January 24, 1967) is an American actor, comedian and voice-actor. He is famous for his roles on Pulp Fiction (Marvin), Mad TV, Justice League (Green Lantern) and Samurai Jack. He has an extensive voice acting career, with major roles spanning animated series Futurama, Static Shock, Justice League and Justice League Unlimited, and Transformers Animated, and video games Metal Gear Solid 2 and 4, the Jak and Daxter series, Darksiders, Final Fantasy XII, inFAMOUS, Dead Island and the Mercenaries series. Phil did additional voices in the film TMNT, and is the voice of Baxter Stockman in Nickelodeon’s TMNT series.